Programming and computational thinking skills are becoming ever more important in our society and working life. Today, a growing number of countries in Europe and internationally are refocusing their ICT curricula on developing students’ computer programming and coding skills, and introducing the topic in national, regional or school curricula. So far schools have been using ICT to focus purely on computer literacy – teaching pupils, over and over again, how to word-process, how to work a spreadsheet, how to surf the internet. 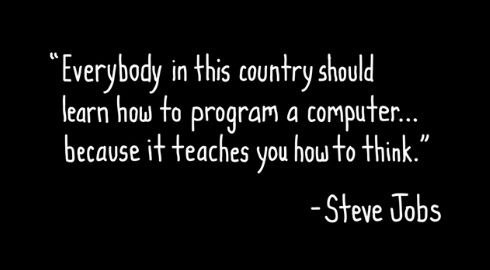 There is nowadays an ever growing need to teach children computer science, information technology and digital literacy: teaching them how to code, and how to create their own programs; not just how to work a computer, but how a computer works and how to make it work for you. Computer science skills are increasingly required in many different fields, not only in ICT jobs. Perhaps more importantly, learning to code also develops skills such as problem solving, logical reasoning and creativity. Schools are key players in introducing programming to students in an engaging way, and helping to break down the negative stereotypes around it. In the above context the project comes to address the recommendation of the recent EC Report titled “New priorities for EU cooperation ET 2020” Report (COM 2015- 408), which stresses that “knowing how to code is empowering. It allows to understand the digital world we live in and to shape it. Basic coding skills are essential for accessing the jobs of tomorrow and today” and for achieving a better skills-match between education and the world of work. “Coding is seen as the red thread that runs through future professions”.